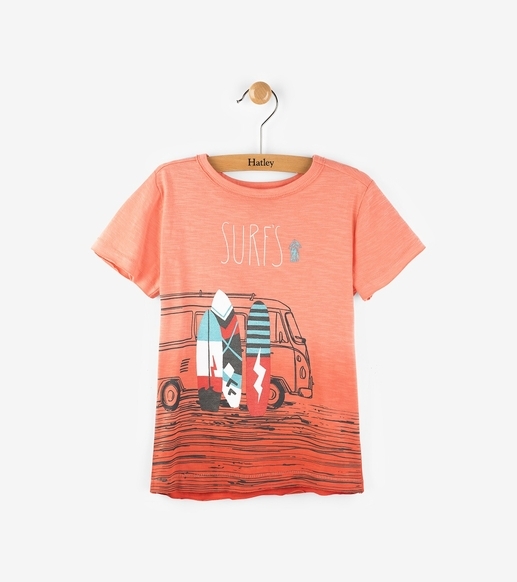 This vibrant and colorful tee will look cool and be trendy this summer! Our Surf's Up Coral Ombre Boys Tee is ful of character, surf boards, and Volkswagon vans. Raw cut edges make this extra fun and perfect for that little dude! Made of 100% cotton by Hatley.